Today I will give you a list of essential tools for language learning. Its easy to list things that language learners do: Memorize vocabulary, practice pronunciation, listen to music in the target language, read articles, maybe even visit foreign countries. And all of these are good things. But today I want to talk about a different list: a core, essential list. Today’s list is about doing all of these other things more intentionally, and with greater purpose. That’s not a typo. There really is only one thing on this list. It’s that fundamental. It’s also that easy. And it’s also that… “listy”. If you are learning a language, you keep a mental list of things you want to learn. When someone tells you “The French word for apple is pomme,” you either pay attention and learn the information, or you don’t, based on whether “learn the French word for apple” is on your mental list. Memory.Naturally, we write down lists so we don’t forget things. And by using your language list properly, you will prevent yourself from forgetting important things you need or want to learn. When is the last time you had a question (about your language, or about anything), then when you had the opportunity to ask an expert, you couldn’t remember the question? Keep your list with you, and you’ll never have this problem again. Awareness. By forming a list-taking habit, you’ll be constantly more aware when you have questions. Your target language will begin to live more in your conscious mind, and this will lead to improved learning. My French list, in a small pocket notebook. This is an easy, low-tech solution that simply works! It’s easy to pop out a notebook during a conversation and jot down a word or phrase that you want to look up later. There’s not much more to say about this simple method! If you’re a bit more tech-savvy, you may want to keep your list electronically. My favorite app for this is [Google Keep](http://www.google.com/keep/), which automatically synchronizes between my Android smart phone and the web version. But there are many other options, such as [Wunderlist](https://www.wunderlist.com/) and [Evernote](https://evernote.com/). The key is that it should work wherever you are, and it should sync. So if you use a PC and a smart phone, make sure you use a tool that will synchronize between both systems! I actually use both a notebook and a mobile app. Google Keep houses my “master” list. But occasionally I don’t have my mobile phone with me, or it would be inappropriate to pull it out, but jotting a quick note in a pocket notebook would be acceptable. Digital Camera This comes in very handy while traveling. If I see a sign, or a menu item which needs explanation, I can just snap a photo, then later copy the relevant words to my master list. Browser Bookmarks I often find an article I want to read in my target language, but I may not have the time to digest it all at once, so I’ll bookmark the article, and go back later and move the troublesome words to my master list. Kindle Paperwhite The Kindle Paperwhite (and perhaps some other models) have a built in vocabulary practice list. Any time I look up a word, it automatically ads it to this vocabulary list. I later move the words to my master list. I’ll blog more about using a Kindle for language learning in the future. Highlighter If I’m reading a dead tree book in my target language, I’ll often sit with a highlighter pen, and mark every word or phrase that is new to me. This is less disruptive than typing words into my mobile phone while reading. Then after a reading session, I can quickly go back through the book and add the highlighted words to my master list. This is pretty simple, really. 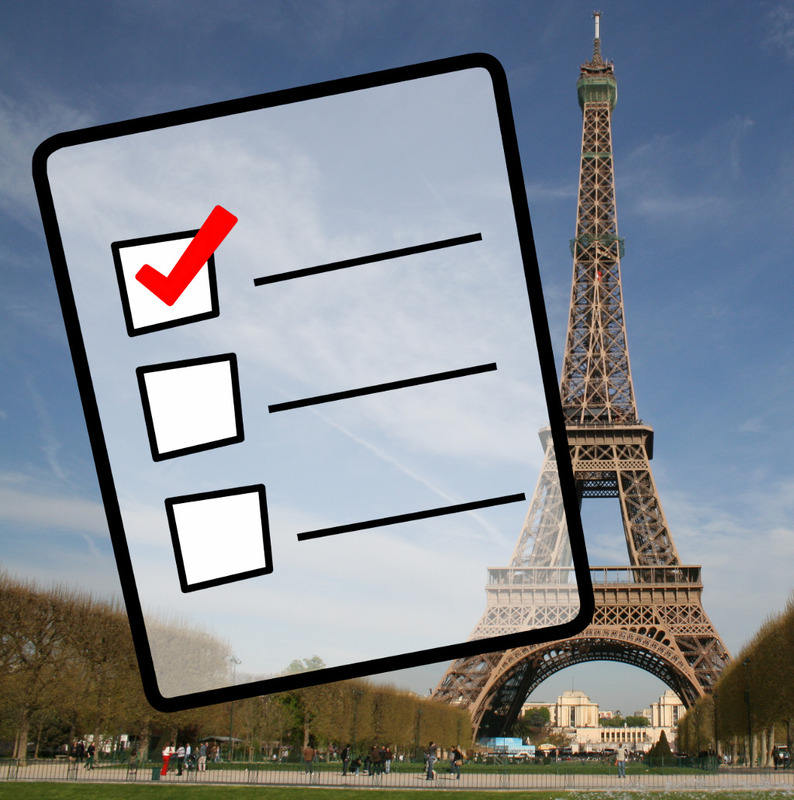 Any time you have a question about your target language, put it on your list. You heard the word “battement” for the first time in French, and you don’t know what it means? Add it to your list. You were having a conversation in Portuguese and a friend asked what you do for a living, and you don’t know the word for “industrial engineer”? Add “industrial engineer” to the list–yes, write it there in English. You read a sign with the phrase “prêt à manger”, and you don’t know how to pronounce it? Add it to your list. You’re walking down the street, naming everything you see in your target language, and you realize you don’t know the Hindi word for “trash can”? Add it to your list. So you have a list — Now what? Now that you have a list of a dozen new words or concepts, it’s time to put it to use! Attacking the items on this list can be as varied as the ways you added to the list. But we’ll go over some of the options here, and I’ll go into greater detail on many of these in future posts. Many of your questions can be answered by consulting a dictionary in your target language, or a translation dictionary between your target and native languages. This will likely be the resource that answers the majority of your questions, especially early on, when you’re simply trying to learn the word for “trash can” and what “battement” means. There are many online resources to learn about your target language, and one clear advantage they offer over a print dictionary is audio files. If you’re trying to learn pronunciation, [Forvo](http://www.forvo.com/) is a great resource. [Wiktionary](http://www.wiktionary.org/) also offers audio clips for some words in some languages. If you’re in a language class, you have an obvious place to ask your question. If you’re not taking a formal class, ask a friend who speaks your target language. And finally, while it’s usually my last resort, it’s also one of my favorites. There are many online communities where you can ask questions about your target language. Use Google to find a place where you can ask your question. Every item that ends up on your list ought to end up on at least one practice flashcard. This is the best way to ensure that you don’t forget the information you just learned! I’ll write more about effectively using flashcards in the future. It’s a pretty straight-forward concept. And few people, in my experience, use it. But everyone should. Will you? Leave a comment below with your experience using a Language List. Be sure to follow me on Facebook, Twitter, or Google+, and share this post if you find it to be helpful!